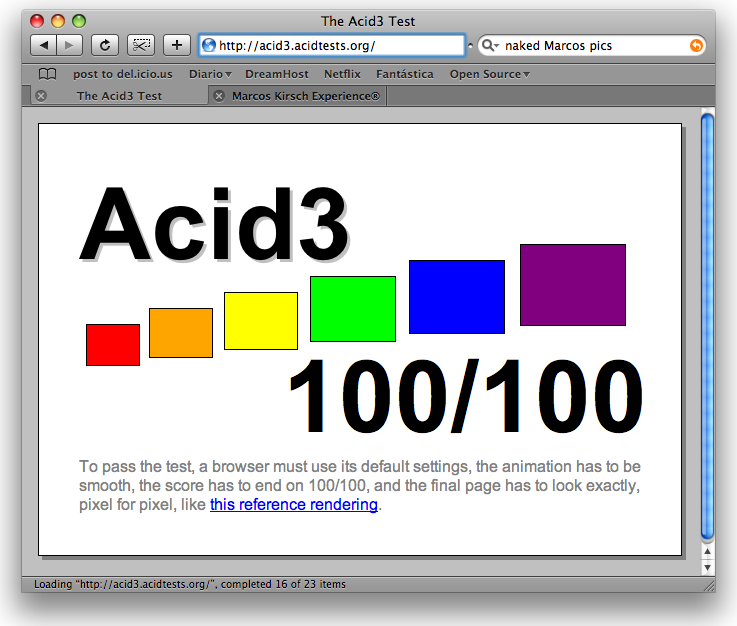 As of tonight’s nightly build, WebKit (Safari‘s Open Source rendering engine) gets a perfect score on the Acid 3 web standards test, making it the first publicly available web browser to achieve 100/100. This means it’s fully standards compliant, or at least as far as the Acid 1, Acid 2 and Acid 3 tests are concerned. The day when all browsers are fully compliant, all websites will look the same on all browsers, and web designers (not me) won’t have to play tricks or write code for specific browsers. This will translate into better websites for everyone. Also, there will be peace in the Middle East, world hunger will end, and Britney Spears will become a role model to all young women. Congratulations to everyone on the WebKit team! Previous PostPhoto of the day #17Next PostGoodbye: The MKX® shuts down.